Oh, MySpace. Once, you were the big brother of the social networking world. You got all the attention, you got all the money, and you got all the glory. Now, like the older child after a few cuter, funnier siblings are born, you’re an afterthought. Facebook has taken your lunch money, and Twitter’s pushing you into a locker and giving you wedgies. However, MySpace hasn’t completely given up. Rather than remain a social networking website, MySpace is relaunching with a new look and a new direction as a social entertainment hub. 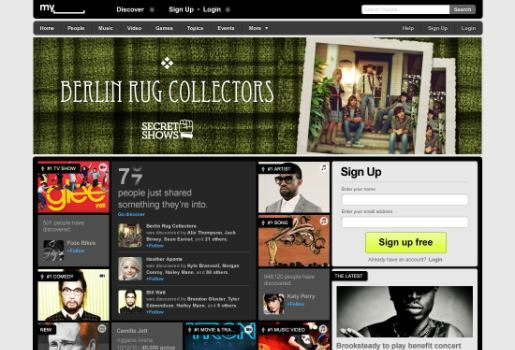 So, basically, MySpace is trying to become Digg, but with a social networking component. Or like what Digg used to be, minus the bury button. Or something. I don’t know what they mean by social entertainment, except to remind us that bands still use and love MySpace.